Toss this medley of colorful fruits in your purse, car, or backpack, and never get caught without a tote again! 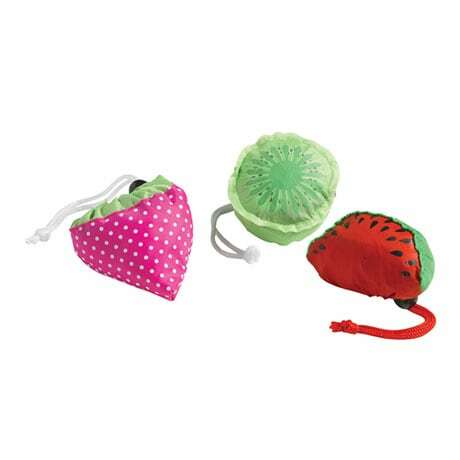 Our bright Fruit Packable Totes Set features three roomy (15"x16") bags that roll up and tuck into the attached (about 3" wide) fruit-shaped drawstring pouches (a strawberry, a kiwi slice, and a wedge of watermelon) for easy storage. 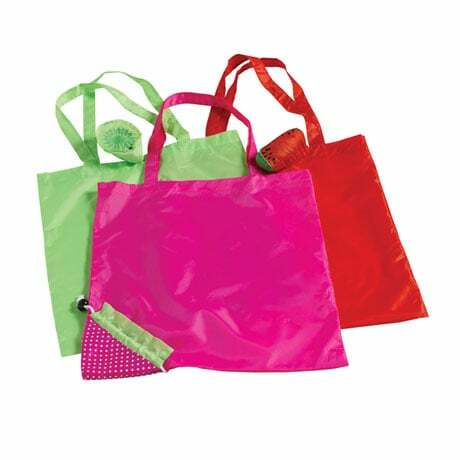 Made of durable, lightweight nylon, this sweet trio is great for trips to the farmers market, transporting unexpected purchases (like those extra books), or just to have on hand. Set of three.